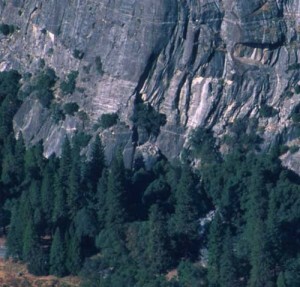 Church Bowl is one of the Valley's most enjoyable and popular crags. It offers easy access, moderate ratings, and a wide variety of routes. This is a great place to train and develop the full spectrum of crack techniques, from finger jams to chimneys. The routes have solid protection and are easy to retreat from. There are enough climbs for a full day of cragging. Which SuperTopo guidebooks include a topo for Church Bowl Tree?